Imagine yourself a newly hired facilities manager, the go-to person responsible for the proper and continuous performance every machine on site. One machine in particular, you are informed, is a large walk-in refrigerator that houses the primary raw material for the production operation. There is a lot riding on that machine because the stored material is useless if not kept cold. Oh, and by the way, the plant site is bisected by a public street and the refrigerator is located across the street from the main building where the facilities office is housed. Your assessment of the equipment reveals that a lone temperature alarm device monitors refrigerator temperature and sounds a loud horn if the refrigerator temperature reaches a high limit setpoint. There are no existing wire pathways between the main building and the walk-in refrigerator that are available for your use. Clearly, the level of risk associated with the refrigerator is high. It merits implementation of an improved strategy to monitor refrigerator performance. Things under consideration include some the following items. A real time display of the current refrigerator temperature in the facilities management office. Analysis of the temperature data for an upward or downward trend that might indicate the beginning of a malfunction of the cooling system or controls. Monitoring of refrigeration compressor motor current, which can be related to the temperature data to confirm that the compressor is operating when it should. Real time display of refrigerant suction and discharge pressures. Analysis of refrigerant suction and discharge pressure to identify trends or conditions that may indicate service is needed or malfunction is imminent. Verify the door to the refrigerator is closed. Monitor evaporator fan motor current to verify that all fans are operating. The greatest challenge in this application is not the gathering of the information, nor its analysis. The difficulty, as well as a substantial cost and time constraint, is delivering the information from the point of measurement to the point of use. Analog signals for real time temperature, refrigerant pressure, and motor current can be easily derived through the addition of sensors to the equipment. The only sensors likely to require intrusive work to install are those for refrigerant pressure. Routing the measurement signals to the facilities office across the road may prove difficult. A wired connection between the measurement location to the facilities office will require either an underground or overhead routing of cable, traversing the public road. Permission from state, county, and/or local jurisdictions may be required and present potential barriers to timely completion of the project. The cost to install the cabling will be substantial. The distance may be long enough for signal attenuation to be a concern. 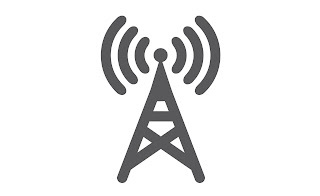 The best solution, in terms of initial cost and time to completion, is to establish a dedicated wireless connection between the walk-in refrigerator and the facilities office. A multi-input transmitter is installed at the walk-in refrigerator. The transmitter converts digital (switch) and analog input signals into encrypted digital data and transmits in the 900 MHz band to the receiver installed in the facilities office. The receiver decrypts the received data and mirrors the original analog and digital signals at its output terminals. Wireless overcomes the barriers presented by a wired installation, allowing completion in a timely manner at substantially reduced cost. If you can operate a walkie-talkie, you can establish industrial wireless connections between remotely located, or mobile, equipment and central monitoring locations. Share your ideas and challenges with industrial wireless experts, leveraging your own knowledge and experience with their application expertise. with hazardous area rated antenna. The use of a centralized control or monitoring station is prevalent throughout many industrial applications. Employing a single location as collector and processor of all available information has operational advantages. Operations with control valves installed at remote locations face the challenge of determining whether the valve is responding properly to control commands or the demands of the process. Older systems, and some not so old systems as well, may have in-place valves that do not provide a confirmation signal of valve position. Many products are available for retrofitting this capability to a wide range of existing valves, but the challenge of delivering the valve position signal to the control center remains. It is unlikely that spare signal cable conductors were installed at the time of valve installation, so there are two clear options. Install signal cable from the valve position indicator to the control center. 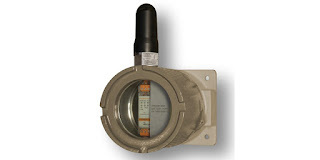 Install a wireless signal transmission system for the valve position indicator. Unless the valve is located very close to the control center, the wireless option offers a more simple and cost effective method of connecting the valve position transmitter with the control center. Here are the basic tasks. 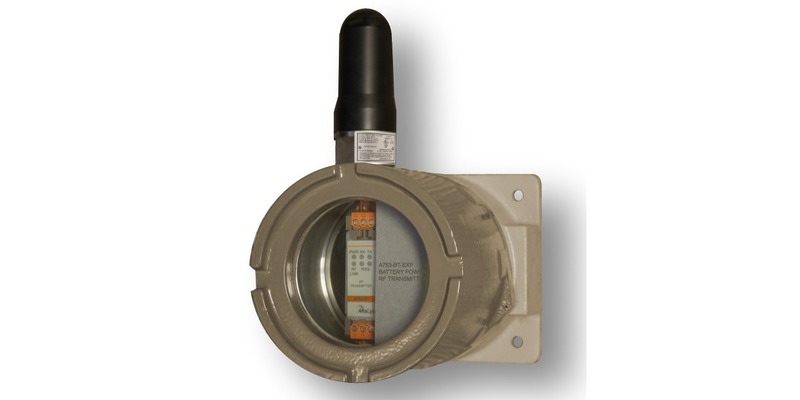 Install transmitter at valve location in a suitable enclosure. Provide power to radio transmitter. Almost any power source can be accommodated. Power consumption is low enough to allow the use of a small solar panel and battery arrangement, if needed. Connect the valve position transmitter output to the radio transmitter input. Install a companion radio receiver at the control center, or where a wired signal can be routed easily to the control center. Provide a suitable enclosure. Provide power to the receiver, using any of the options available for the radio transmitter described previously. Connect the output of the radio receiver to an appropriate input on the central control system. Set the communications channels on the radio transmitter and receiver. 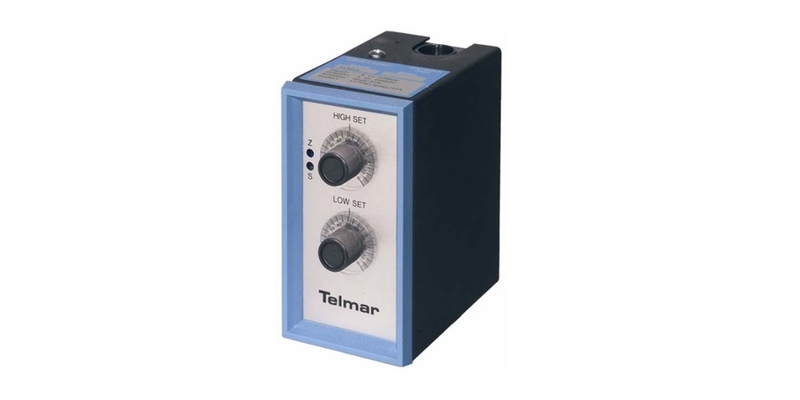 The transmitter digitizes and encrypts the input signal from the valve position indicator, then transmits the data via 900 MHz or 2.4 GHz to the receiver. The receiver decrypts the data and mirrors the signal that was delivered by the valve position indicator to the radio transmitter. This is a simplified illustration, but the implementation of a wireless connection between process components, even with all the details, is not difficult. Transmitters and receivers can be ordered pre-configured, wired, and installed in a specified enclosure, requiring comparatively little field labor. 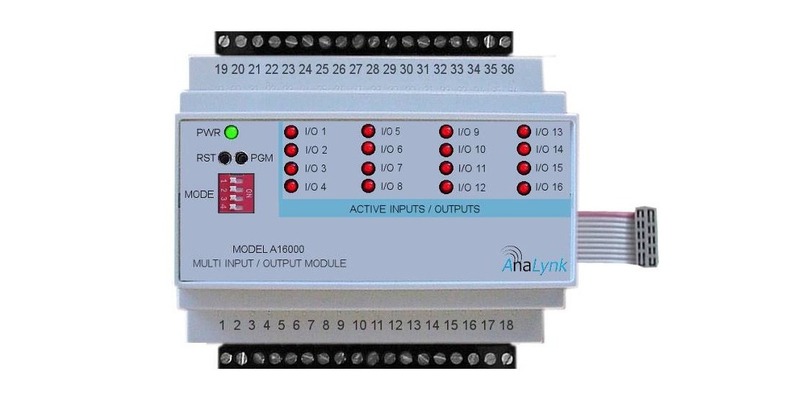 Analynk welcomes customized application challenges and your questions about how to utilize wireless connections in your operation. Analynk Wireless manufactures equipment used to establish wireless process connections across the room, across the plant site, across the highway, and around the globe.